The Middle Tennessee Blue Raiders opened their 2016-17 season with a matchup against the Milligan College Buffaloes. 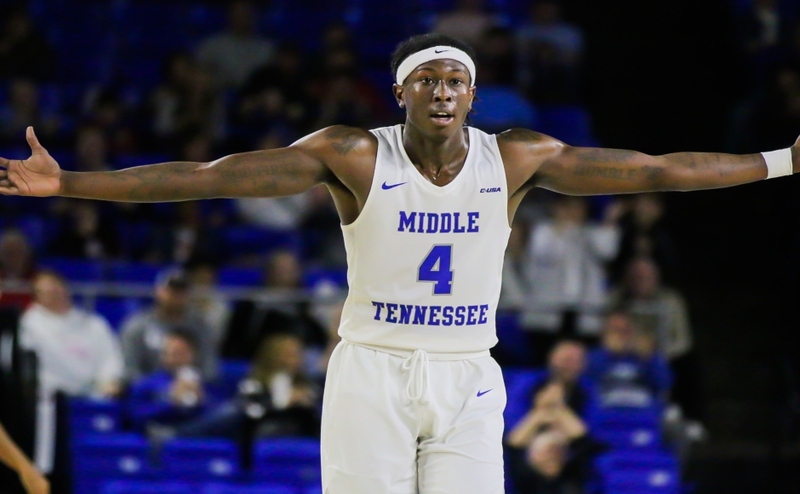 For MTSU, it was a chance to display a team that head coach Kermit Davis called the most athletic bunch he’s ever had at Middle Tennessee. They did just that as they ran away with the game early, going up 22-6 less than seven-and-a-half minutes into the game. They continued the pressure on defense, as the Buffaloes struggled to get going early. 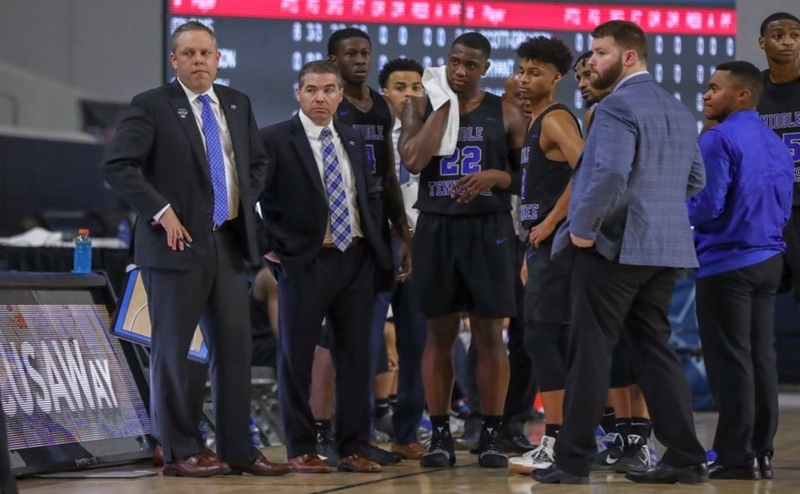 They made a late push in the second half but it was too late as the Blue Raiders won 102-64. Senior JaCorey Williams had the hot hand for the Blue Raiders, knocking down seven of his nine shots for 15 points in the first half. Antwain Johnson added nine points of his own, doing most of the damage from the free throw line as he made four of his seven attempts from the charity stripe. Sophomore forward Karl Gamble scored seven first-half points, knocking down three of his five free throw attempts. While the team looked good as a whole, junior Giddy Potts struggled in the first half, shooting 2-6 and missing all three of his attempts from beyond the arc. The defense was the story of the first half, as they held the Buffaloes to 40 percent shooting. The Blue Raider defense controlled the perimeter as well, only giving up three makes from beyond the arc on ten attempts in the first half. Coach Davis said after that game that while the outcome was never in doubt, the team needs to improve their effort going forward. 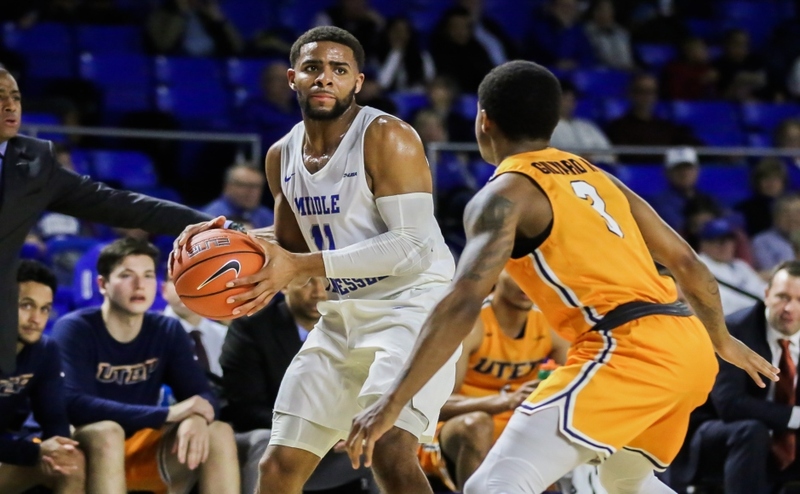 Though Milligan shot closer to 50 percent from the floor in the second half, the Blue Raiders were able to wear them down, going on a 23-4 run at one point to push the lead to 39. Senior Reggie Upshaw took over in the second half, scoring 15 of his 21 points. He finished with his 15th career double-double, adding 13 rebounds to his 21 points. 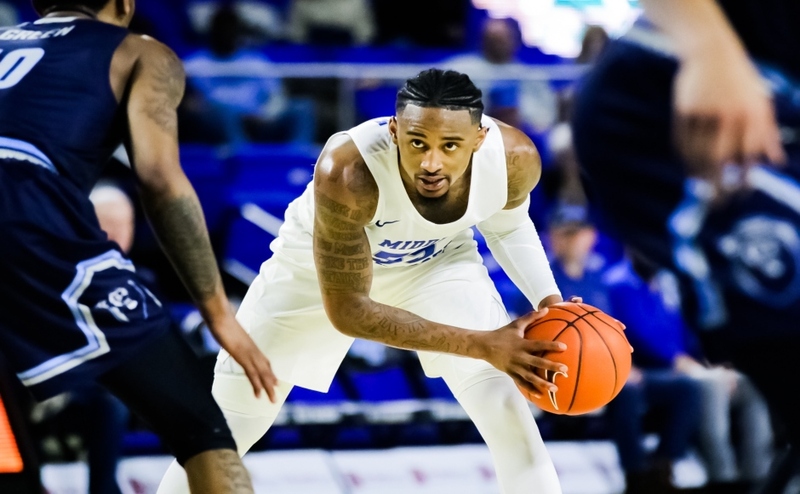 Williams made his long-awaited Blue Raider debut and he didn’t disappoint, tying Upshaw for the team lead in points with 21 of his own. Potts didn’t enjoy his best game, but added a very solid stat-line of 12 points, seven rebounds and a career-high seven assists. Antwain Johnson finished his debut with 17 points while Karl Gamble and Brandon Walters rounded out the double figure-scoring with 10 and 11 points, respectively. While they played well in many aspects, Davis and his players recognize that they need to be better going forward. The Blue Raiders will be back in action on Tuesday night against the Murray State Racers; tip-off is at 6:30 p.m.